Tired of trying to figure out what you should be eating for breakfast, or whether it's ever OK to eat before going to bed? Want to know which type of milk, or cereals, or meats are best so that food shopping is easier? - How often should you eat? - Which organic foods are worth the extra cost? - Does cooking vegetables destroy the vitamins? - Should foods be combined in certain ways for better digestion? 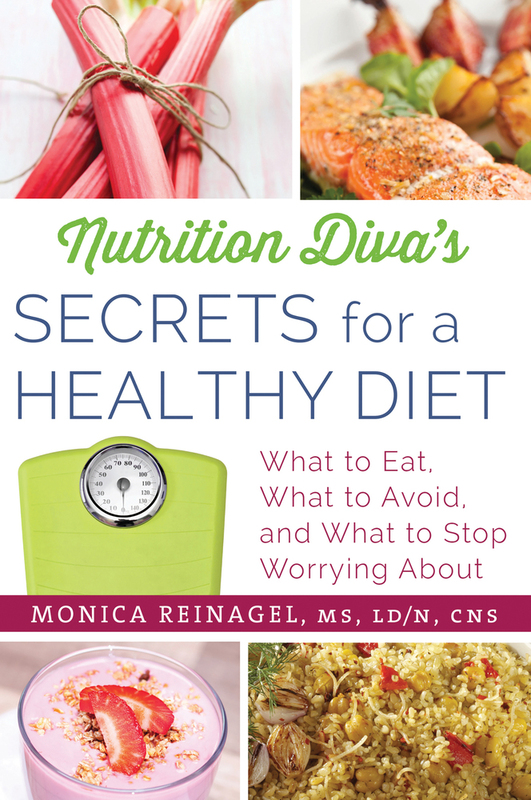 Complete with grocery shopping lists, simple, delicious recipes, and sample meal plans, Nutrition Diva's Secrets for a Healthy Diet will have you feeling healthier, looking better than ever before, and no longer worrying about what to eat for dinner. Watch Monica Reigagel, the Nutrition Diva, show you how to choose the best cooking oil. Learn how to tell the difference between saturated fats, monounsaturated fats, and polyunsaturated fats. Is there such a thing as healthy oil? The Nutrition Diva discusses coconut oil, olive oil and walnut oil and how to use them. Monica Reinagel, MS, LD/N, CNS is the creator of the #1-ranked Nutrition Diva podcast and the author of three previous books on health and nutrition. In recent years, she has served as Chief Nutritionist for NutritionData.com, one of the internet's leading nutrition information sites, and is a frequent contributor to SELF magazine and Epicurious.com. Monica holds a Master's Degree in Human Nutrition and is a licensed and board-certified nutrition specialist. She received her professional culinary training at L'Academie de Cuisine in Washington, D.C. She is a member of the American Dietetic Association, the American College of Nutrition, and the International Association of Culinary Professionals. Monica is also a professional opera singer and has performed with opera companies and orchestras throughout the United States and Germany.